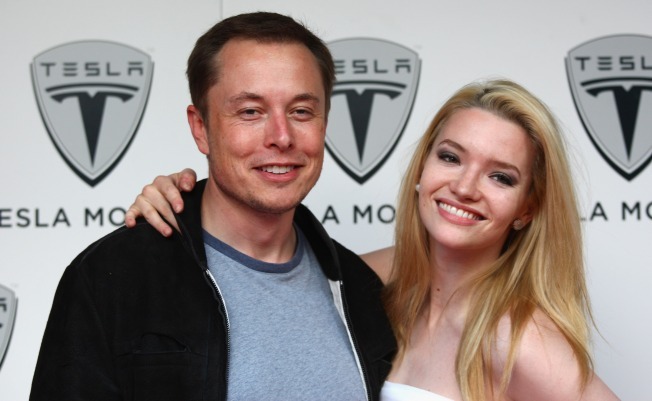 Tesla CEO Elon Musk, left, pictured with British actress Talulah Riley, might make good on a long-promised IPO, but the company has yet proven sustainably profitable and returns may not be great for early investors. Tesla Motors, an electric-car startup which was down to its last $9 million towards the end of 2008, is now seeking $100 million in a public stock offering. Since the fall of 2008, when investor Elon Musk took over as the company's CEO, the company's fortunes have improved -- but its income statement is still starkly in the red. For a long time, it sold its $109,000 Tesla Roadster at a loss, only recently improving the profitability of the sporty all-electric coupe. According to a filing with the SEC, the company lost $31 million in the first nine months of 2009. Tesla Motors briefly claimed a period of profitability for one month last summer. The company is planning to move from San Carlos, Calif. to a new headquarters in Palo Alto, where it also plans to build a powertrain factory. It is currently trying to develop a cheaper sedan, the Model S, with $465 million in loans from the U.S. Department of Energy. But here's the hitch: The company plans to stop selling the Roadster in 2011 -- but won't start selling the Model S until 2012, according to its IPO filing. That could leave it running on fumes as its sales decline in the interim. The company also admitted that its practice of taking reservation payments for the Model S, an important source of cash for the company, could run afoul of California's Department of Motor Vehicles rules. It has also been spending heavily on opening new stores in the U.S. and internationally. Crucially, Tesla would have to repay its government loans before shareholders could practically benefit from any growth in the electric-car market. So the IPO could seem like a longshot. But if Tesla is able to raise money from individual investors who are more caught up in the enthusiasm of electric cars than concerned with pesky financial details, it could stand a chance of having a decent debut on a stock market hungry for cleantech offerings.